Private tuition lessons are not just for school students. Often they are attended by people from all walks of life, including secondary school students, anyone with an exam coming up, undergraduates and people who are working. Private tuition is even available for pre-school students. 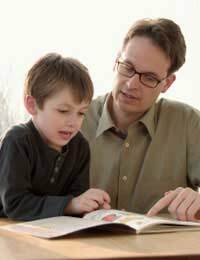 Private tuition usually involves a qualified tutor coming to your home to give a lesson for an hour or an hour and a half. Occasionally you or your child may go to their home. Many private tutors provide tuition for businesses and will work with employees in-house. Private tuition usually takes place on a one-to-one basis, or with a maximum of two students. If you’re considering private tuition for your child you will usually be able to sit in on the lessons, at least at first. The parents of pupils who are struggling at school will often pay for their children to attend private tuition lessons to help them catch up and keep up at school. If your child is primary age you’ll be able to find tutors who cover all subjects but if your child is secondary age tutors will be experts in certain subjects so you would need a different tutor for each subject that you want tuition with. Parents often pay for tuition fees for their children when exams are coming up. There is more pressure than ever for children to perform well in exams now and private tuition can give students confidence and help them revise thoroughly. Pupils who want to get into a particular university or grammar school often take private tuition lessons. Some top universities such as Oxford and Cambridge hold extremely competitive entrance exams and other universities will demand outstanding A-level results for a place. University students who want to do well or are having some difficulties may hire a private tutor. Private tutors at this level will often be professors or PhD students and their higher fees will reflect this. Businesses may hire a private tutor to come in and to work with staff on a certain area. Similarly, individual employees might hire a private tutor themselves. It is not uncommon for a private tutor to be hired if someone has to go abroad on business and wants to get a grounding in the language before they go. Private tuition fees are not cheap. Depending on the subject and the level rates are set at around £20-£30 per hour. More popular subjects may cost more because the demand for tutors is higher. The most popular subjects generally are Maths, English, Science and French. Primary rates will usually be lower than secondary rates and degree level tuition will be the highest. Rates also vary around the country and are obviously highest in the South. There is an extremely high demand for tutors in Cambridge for example, owing to the prestige of Cambridge University, so rates are higher there. Private tuition students usually take one or two lessons a week. The cost of private tuition fees excludes many families from being able to afford them. In May 2007 Alan Johnson, education secretary at the time, announced that the government is making plans to make extra provision for private tuition for students who can’t currently afford it. He pledged that 10 hours of extra tuition in key areas such as Maths and English will be made available to the bottom 5% of pupils. This would benefit up to 600,000 students. My daughter started secondary school in September 2018 & she’s been having problems & is struggling. She’s been diagnosed with Dyslexia & I’ve had meeting after meeting with her head of year about how her teachers could support her better in her classes..... so different things were put into place & they was going well, but now she’s struggling again & her anxiety & anger issues have gone through the roof. I’m having to take my daughter to see her doctor to ask for help. I’ve asked the school for a 1-1 support for my daughter, but they just said that they haven’t got enough staff to provide that. I asked about funding to get someone from an outside company to come in & they said I wouldn’t get that either. I just want to get my daughter the right support she needs.... Would this be something you would help to fund..? If a child has an EHCP, then the school can fund the private tuition. We have had many schools processing this for our children through Tutor Supply. My daughter is recovering from an eating disorder & has only just returned to school (Year 10) having been away from school since mid March this year. Her school doesn't do one to one lessons & I that she needs private tuition. As I'm on a low income would I was wondering if I would be entitled to any financial help for this? All children and young people whose SEN is known about should get help from their school to help them overcome the difficulties they have. Alternatively, The National Autistic Society may be able to help answer your question in more detail, please see link here . You would have to apply directly to the school to see if it has extra funding funded by the pupil premium, which allows for tuition.